Large numbers of students who owe money at the end of the academic year can be a sign of poor collection practices. They can also indicate problematic or unrealistic award policies. Some institutions operate with financial aid award policies guaranteed to place students and families in situations where it is virtually impossible to meet financial obligations. Review your institutional award policy to ensure that you are not packaging your own collection problem. The implications for both recruitment and retention are real. Folder completion refers to the percentage of applicants who have provided sufficient required information (transcripts, tests scores, recommendations, etc.) 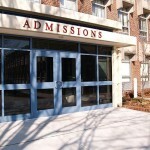 to generate an acceptance letter or a notification that the applicant has been denied admission. Incomplete admission folders are often an indication of poor communication with admission applicants. If the percentage of applicants either accepted for or denied admission is less than 70% then you likely need to improve follow-up and communication. Are your admission professionals scheduled for evening hours most weeks of the year? The majority of prospective students are either in high school, enrolled in another college, or working during the day, so you need to implement evening hours. Students who visit your campus are more likely to enroll. If your institution has residence halls and enrolls students from outside the local area, you are going to want to see applicant visit rates of at least 30–35%. If your market is primarily local, you should expect applicant visit rates closer to 50%. Visit rates below these percentages may be a sign of a disinterested applicant pool or poor communication and relationship building with prospective students. Identify the cause and take corrective action.